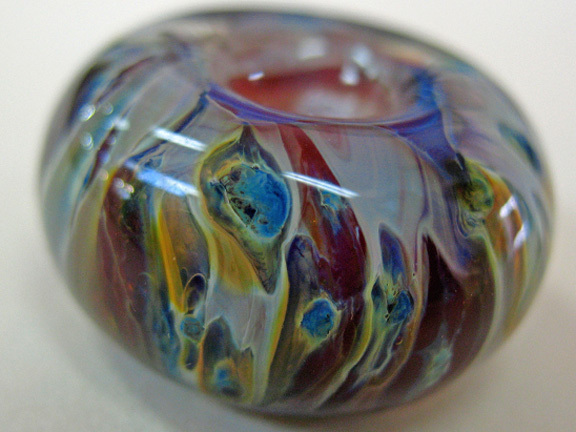 One of the best parts about working at a bead store is meeting local beaders, every day introducing us to new artists and projects, and we were excited to discover the hand-made lampwork glass beads by Terry Seiber, a Bellingham local. Terry has been selling her pieces as Misty Creek Studios both on her Etsy page and at Barefoot Glass. Terry’s customers have reached an international level, and she has several private customers who keep her busy with custom orders. We’ll be selling her colorful bead sets and pendants at the Bead Bazaar through the end of February, so make sure to come by and immerse yourself in the colors and textures that Bellingham has to offer! Below is an interview conducted with Terry. What kind of glass do you make? A: I exclusively use borosilicate glass, which originally had more scientific purposes, but has evolved over time from scientific glass to art glass. 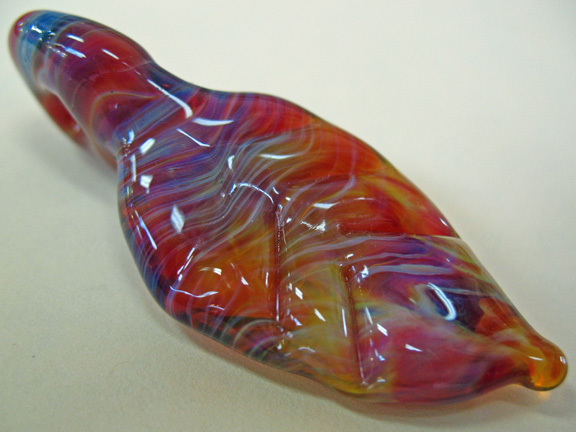 Borosilicate is interesting because it has striking which brings out new or different colors when placed under the torch. Your finished piece looks a little different from the original color. A: I do lampworking. I like it because it’s more challenging than making fused glass. Q: How long have you been working with glass? A: I have been working with glass for almost 12 years. 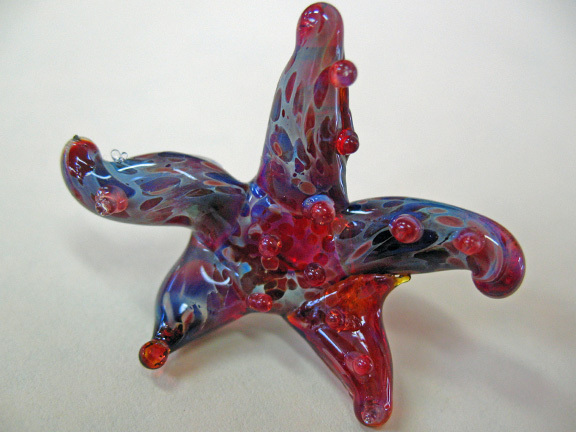 I’m from California originally and learned how to do lampwork from a friend there. I’m a member of the ISGB and have taken classes from many talented people, like Lori Robbins. A: My husband and I custom built our house on some property with a creek running on it. You can hear the trickling of the creek from the house almost all year round. The name came from that and the mist that sometimes settles around our home. A: Colors inspire me- I’ll see something while I’m out on a walk, or I’ll encounter a particularly vivid color that pops out at me, and I’ll want to reproduce that color with the glass. The colors of the glass itself inspire me as well. A: More than anyone else would be fellow glass-worker Lori Robbins. We’re friends and stay in communication. A: I originally made a lot of focal pieces and have evolved into making bead sets. Next I’m thinking of expanding to make more sculptural work; I’d like to make sculptural pendants that incorporate organic materials like driftwood.